In nine out of past 15 years, about 100 districts of the country have witnessed a drought like-situation, triggered by failure of south-west monsoon. This frequency is now increasing in Bihar, Uttar Pradesh, Karnataka, Kerala, Maharashtra, among a few other states. Union Ministry of Agriculture and Farmers Welfare defines drought as water shortage for human, cattle and agriculture consumption, resulting in economic losses, primarily in agriculture. The ministry classifies drought into meteorological, hydrological and agricultural. 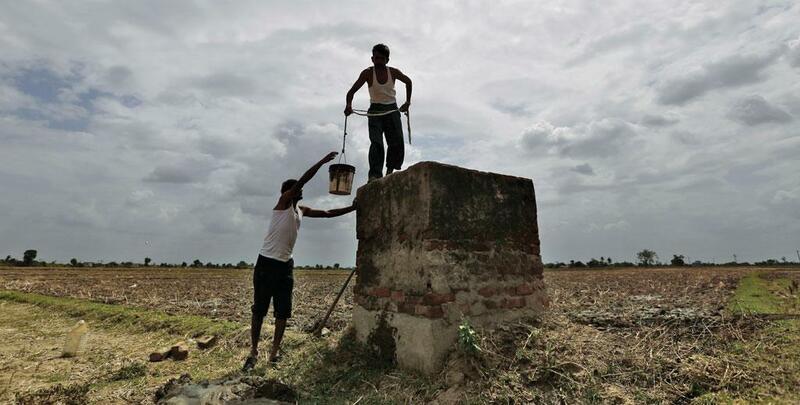 India might be headed for a meteorological drought this year. It refers to a condition with rainfall deficit to below 19 per cent of normal rainfall, thus failing to sustain moisture level of soil. Four out of nine droughts in the last 15 years were severe droughts that jeopardised country’s food security. This year, the situation is comparatively grim as those states that produce about two-third of country’s foodgrain are severely impacted and may lead to a food crisis. In 2000 and 2001, 168 and 115 districts were affected by drought respectively, followed by a severe drought in 2002 that impacted 383 districts of the country. Next two years also saw deficient rainfall. 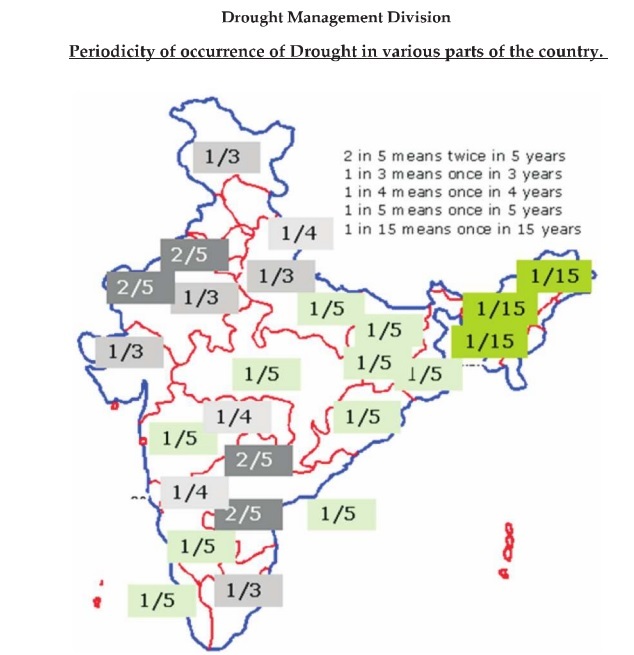 In 2003 and 2004, the number of districts affected by drought was 118 and 223 respectively. The frequency of droughts reflected in state data has left experts clueless. According to the drought management division of agriculture ministry, Assam will get a drought-like situation once in 15 years. The trend, however, shows that the state witnessed three droughts (including this year) in last nine years. Though vulnerability for Bihar and Uttar Pradesh is once in a five years, the state has faced three drought-like situations in last five years and Uttar Pradesh has faced two. The data for southern states, especially Karnataka and Andhra Pradesh, is even more contradictory. While the states have seen many droughts in last five years, study shows that vulnerability is once in five years for Karnataka and twice in five years for Andhra Pradesh.